Giant Robots Mean Giant Fun with Gundam Toys and Collectibles! cockpits by a human pilot. 1979's Mobile Suit Gundam anime TV series defined the real robot genre of anime by featuring realistic gigantic robots in a militaristic setting. Gundam is a science-fiction media franchise created by Sunrise in April 1979 that features giant robots (mecha) called "mobile suits" named "Gundam." 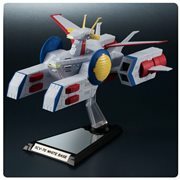 Most Gundam are humanoid-shaped vehicles controlled from cockpits by a human pilot. 1979's Mobile Suit Gundam anime TV series defined the real robot genre of anime by featuring realistic gigantic robots in a militaristic setting. The popularity of that TV show and the Bandai Gundam model kits, action figures, and other themed products that followed spawned a huge number of spinoffs, TV series, films, manga and novels, video games, and one of the biggest toy and hobby franchises in the Japanese toy industry. 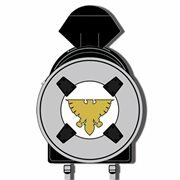 Whether your fandom lies in Mobile Suit Gundam Wing, SEED, Build Fighters, Iron-Blooded Orphans, Thunderbolt, or anywhere else in this magnificent mecha universe, we've got the merchandise you crave. Check out this huge Entertainment Earth selection today! 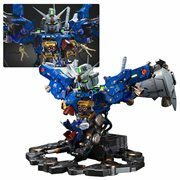 Build Your Own Giant Robots! 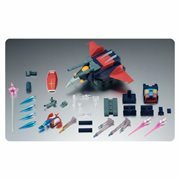 One of the primary reasons for this franchise's enduring success over the decades is the opportunity it offers for its multitude of fans to construct and then admire and play with their own relished mecha. 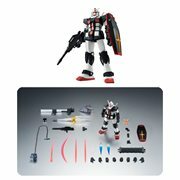 Made of plastic, resin, and/or metal, Bandai (and other) Gundam models range from children's toys to hobbyist and museum-quality kits. They also come in various scales that include 1:35, 1:48, 1:60, 1:100, 1:144, and sometimes 1:6 or 1:12. So, enthusiastic admirers of all ages will find a lot to choose from here at Entertainment Earth. And don't forget to pick up a Gundam stand or two for your action figures or models while you're at it! Experience, Enjoy, and Express Your Fandom in Other Ways. There are many other ways you can experience, enjoy, and express your love for your favorite giant robots and the rest of this fun-filled anime-based franchise. For example, choose an awesome Gundam T-shirt, messenger bag, tote bag, backpack, bobblehead, pin, or necklace. Maybe You Prefer Something More Stately. 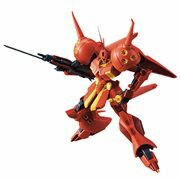 Whether you admire Mikazuki Augus and Orga Itsuka from Mobile Suit Gundam: Iron-Blooded Orphans, Mobile Suit Gunda: Char's Counterattack's Nu Gundam and Sazabi, or Hoshino Fumina out of Gundam Build Fighters Try, for that special something you can display with pride in your home or office, look for a high-quality statue or bust to fill that need… and look for it first at Entertainment Earth.